The terms stock and broth are often used interchangeably and you can substitute one for the other within recipes, there is a slight difference in preparation! While stock vs broth are similar, there are a few key differences to how they are made, and what you use them for. Both are very easy to make and extremely versatile. 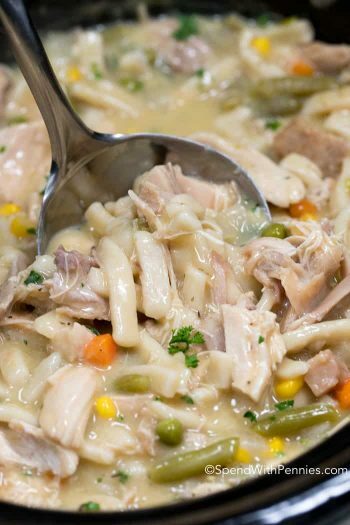 I like to use both chicken broth and chicken stock in my pasta dishes, sauces, and of course to make delicious chicken soups! Making them at home is easy, and you can freeze the broth and stock for later use! 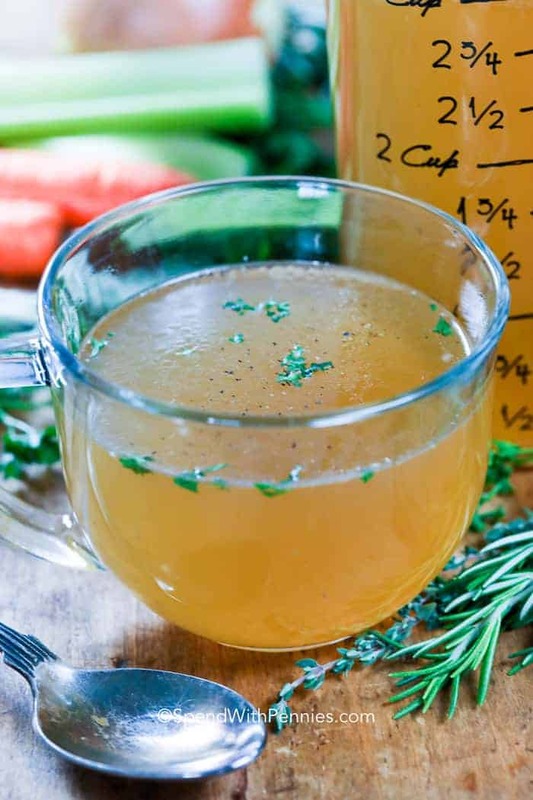 What is the Difference Between Stock vs Broth? 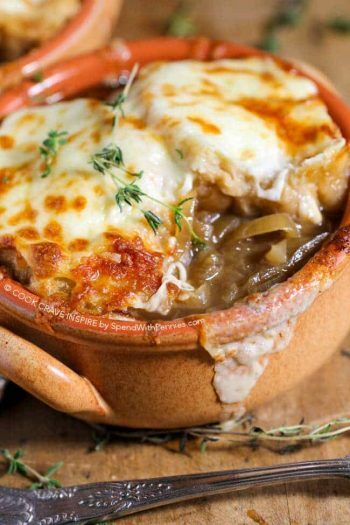 Essentially, stock is made from simmering the bones from your meat for a long period of time to extract the flavors from them. This can result in a more flavorful and well-rounded stock that is great to use in many dishes such as sauces and soups. Broth is made from using the meatier parts of your bird to flavor it. You can make a broth out of poultry, fish, beef, and even vegetables! 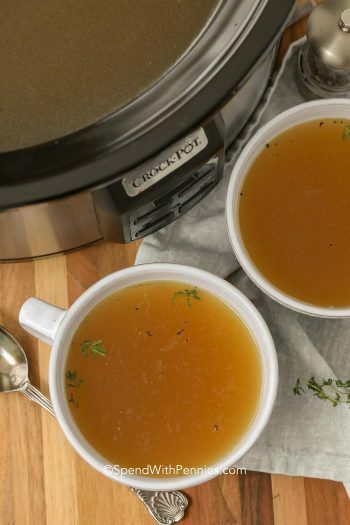 Broth is often lighter than its stock counterpart, which makes it great for using to boil pasta, steaming vegetables and of course as a base for soups! Can you Substitute Broth and Stock? Yes, broth and stock are interchangeable in most recipes. Because stock is made from the bones and cartilage, it contains more collagen which results in a slightly richer texture than broth. If you need to substitute broth for stock, keep in mind that if your broth is store bought, it may be salted which can affect the way your dish turns out. 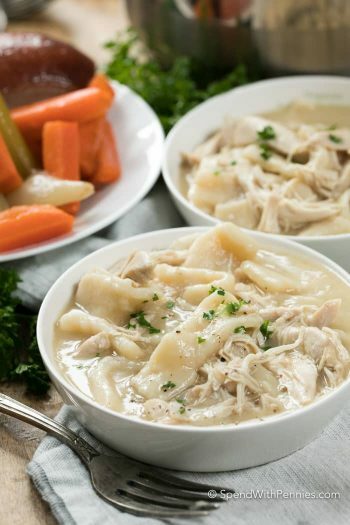 It is not uncommon for people to use chicken stock and broth to substitute for beef. If you need to do this, your soup or dish will have a slightly different flavor. What is the Difference Between Brown and Light Stock? The difference between brown and clear stock is how the meat or bones are handled. 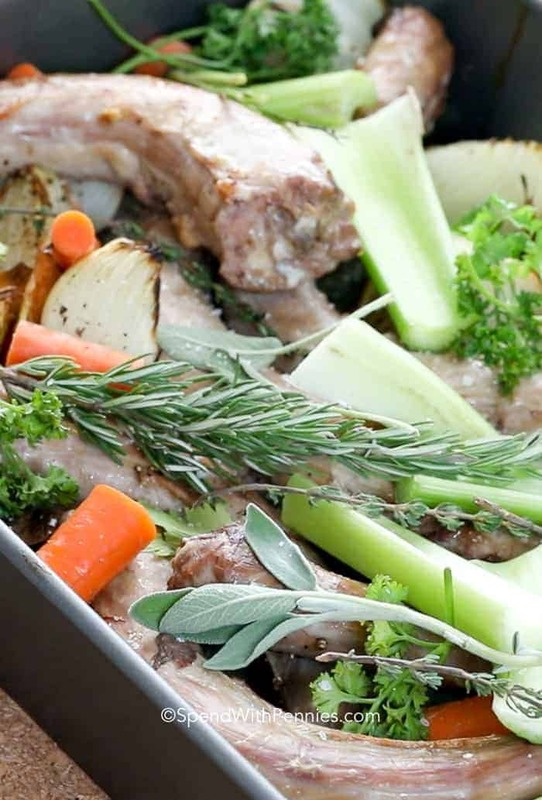 A lot of people associate beef stock as being much darker than chicken stock, but it is not a result of the bones themselves. When you are creating a stock, it will almost always come out the same color you would see chicken soup. 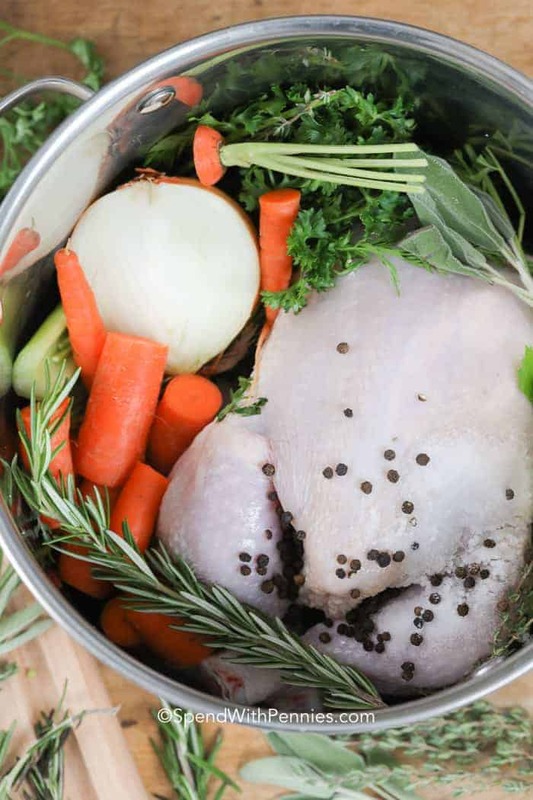 To achieve a brown stock, roast or brown your bones or meat before adding to your stock pot. The color from the browning will leech into your stock creating a colorful and flavorful stock! Additionally, red wine or tomato paste is sometimes added to beef stock for flavor which will also change the color. I also always leave my onion skins on to add extra color to my broth. How do I Make A Broth or Stock? Stock and broth are easy to make, and don’t require a lot of prep work. 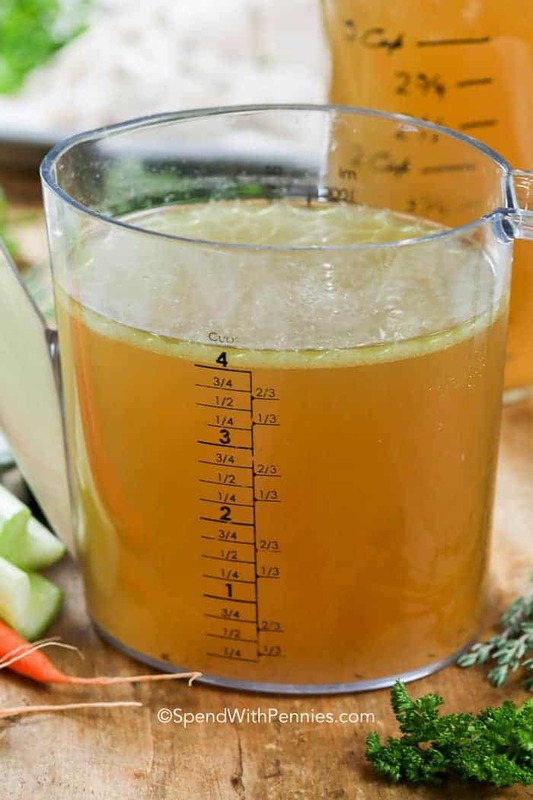 Because they are so versatile, you can make stock and broth easily to match your dish. Next, simmer your stock on low or in a slow cooker for at least 6 hours. The longer the better! Once simmered, strain the broth (I use cheesecloth or even a coffee filter to help remove residue). Cool, skim any fat once cooled.